An American businessman has been sentenced for murdering a young woman in a hotel room in Cardiff. 45 year old Sammy Almahri met Nadine Aburas on the internet dating site MuslimMatch.com in 2013. But on New Year’s Eve in 2014 he killed the 28 year old at the Future Inn in Cardiff Bay. He placed a "do not disturb'' sign on the room door and even faked a suicide note. After the killing Almahri drove to Heathrow Airport using his victim's car and eventually ended up in Tanzania. He initially denied murder saying he carried out the killing after hearing the "voice of God'', but later pleaded guilty to murder. He's now been sentenced to life in prison with a minimum term of 17 years. 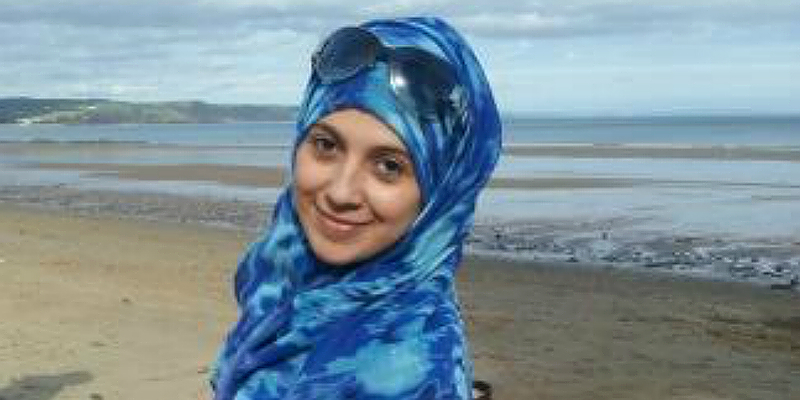 Detective Chief Inspector Gareth Morgan from South Wales Police said, “Sammy Almahri took the life of Nadine Aburas before promptly fleeing the country. "He took refuge in Tanzania where he continued to taunt the police and the family and friends of Nadine with telephone calls and messages exacerbating their grief. Speaking outside Court Nadine Aburas’ family said: "Nadine was a remarkable young woman, courageous, intelligent and loving. "Her infectious laugh and the beauty she brought to our lives will be forever missed. "Nadine’s caring nature brought her close to many in our community and her murder has had a huge impact on everyone that knew her. Sammy Almahri tragically and maliciously ended a life with so much promise and only fully accepted responsibility when he realised the weight of the evidence against him. “It is unimaginable for us as a family to understand the heinous crime that has been committed. "We will continue to remember Nadine and the joy that she brought to us but our lives will never be the same. David Wooler from the Crown Prosecution Service said, "Nadine Aburas was a popular and caring young woman with a bright future to look forward to. "Sammy Almahri’s callous and brutal actions took that future away from her and left her family dealing with the immense distress that resulted from her loss. "Today’s sentencing marks the conclusion of the criminal justice process, but we are acutely aware that the process of dealing with Nadine’s loss continues for those close to her."